The most economical way to send out printed items of any size as well as avoiding both the costs and the creases that you get with folding. From basic brown to your own corporate colours, the design possibilities are endless. 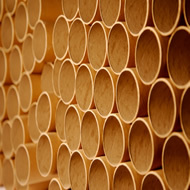 Core tubes for yarns and fabrics, cores for paper winding and cores for cabling are typical examples of the use of cardboard tubes for industry. 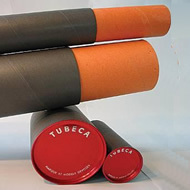 An extensive range of diameters and lengths underlines the versatility of these products. An attractive and convenient way of despatching, preserving and storing valuable documents. 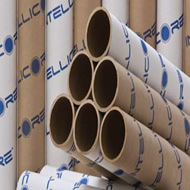 These labeled or printed tubes avoid the need for folding certificates and can be designed and printed with your own logo, crest or whatever your imagination can create.